The German banking industry can boast pioneers of the green bond market, but overall the country lags its peers. What lessons can financial institutions in general learn about making the transition to sustainability from the experience of Europe’s largest economy? 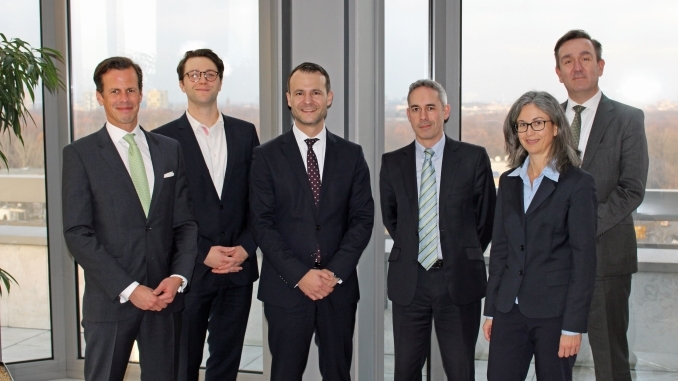 Leading players from different sides of the market gathered at Berlin Hyp’s head office on 30 November to share their expertise and expectations in this Sustainabonds and The Covered Bond Report roundtable. You can download a pdf of the roundtable by clicking here. Neil Day, Sustainabonds: Has the green bond market lived up to expectations? How satisfactory has its development been? 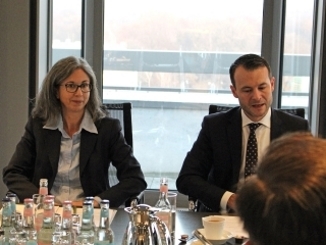 Christina Hack, KfW: The market has developed very dynamically. It has grown in volume and continues to do so. We have also seen a diversification in the market with regard to issuers. There have been sovereign issuers coming to the market in 2017 — France was one of the biggest, and lately Fiji issued its first green bond, the first from a developing country. New products have been launched, like ETFs referencing green bonds. But although the market is dynamic, if you look at the global fixed income market, green bonds still represent only a very small fraction of the overall market. So there is still potential. If you look at the qualitative aspect of the green bond market’s development, there has been quite a big increase in awareness of the sustainability topic. This discussion is reflected in the growing number of initiatives that have been established and are trying to contribute to the debate. Day, Sustainabonds: Can you give a bit of colour on how much KfW has invested in green bonds, and also what your investment parameters are? Hack, KfW: KfW’s green bond portfolio currently amounts to around EUR900m. In May 2017 we doubled our target to EUR2bn, thereby clearly signalling to the market that we are planning to go on investing. We have indeed defined some minimum criteria. With regard to sustainability aspects, we look at certain qualitative features, such as a level of transparency around the projects and their impact, and the processes, objectives and reporting, too. We also require a second party opinion. We also take the overall sustainability profile and the strategy of the issuer into account. With regard to asset classes, we focus on bonds issued by public entities — the SSA segment — and financials, as well as covered bonds and the senior tranches of ABS structures. We have a rating restriction, though, which is investment grade. Day, Sustainabonds: How is your second party opinion (SPO) activity picking up and growing? Does it suggest there is a good green bond pipeline? Thomas Farkas, oekom research: We have provided over 35 SPOs as of now and have received twice as many requests, hence I agree that the green bond market is indeed a pretty dynamic one. I assume hardly anyone would have considered the market to be as dynamic five years back. However, if we consider that targets of EUR200bn issuance were set for 2017, we are falling short of that by some 30%, so there is still room for improvement. Certain markets and regions are showing some limitations. For example, although Germany might be doing a pretty good job when it comes to bank issuance, we only saw the first corporate issuance a few months ago. Day, Sustainabonds: Berlin Hyp was the first German commercial bank to issue a green bond, but it took a while for others to join the market. Have you been disappointed? Are you a bit more optimistic now? Bodo Winkler, Berlin Hyp: For some time, whenever there was any discussion on this topic, it was pointed out that there is still room for improvement in Germany and the question was asked: when will others follow, and in particular when will the bigger banks follow? We now see with LBBW one of the major German banks tapping this market. But still, if you look at the rest of the private sector, the Landesbank sector or the cooperative sector, there is nothing, and it has been smaller institutions that have set the standards. We started things off, then came DKB, and now Deutsche Hypo — it’s very nice to have another green Pfandbrief issuer around, also using the covered bond format. If you compare Germany to other countries, you really have to say it is somehow behind the curve. In the Netherlands all the major banks have issued at least one green bond, and the same for France and Sweden. But in Germany the major players still have not done the additional work that needs to be done to be able to select an appropriate portfolio. So there is still room for improvement. Day, Sustainabonds: Why might Germany be behind some other countries? Is there a pipeline? Mirko Gerhold, Commerzbank: I think that in Germany the focus has very much been on the transition of the real economy into a greener economy, the so-called Energiewende. I fully agree that in the green bond market Germany is lagging behind compared to some European countries. If you look, for example, at France, there has been a strong focus on sustainable finance for about 15 years now, and as a consequence we are now seeing a lot of green bonds from French issuers. It’s also related to different investor structures in the bond market, like in the Netherlands or some of the Nordic countries where the investor landscape is dominated by very large asset managers and funds — whereas in Germany and elsewhere the investor base is a bit more granular — and there is an additional momentum towards sustainable finance on the investor side, too, in those countries. 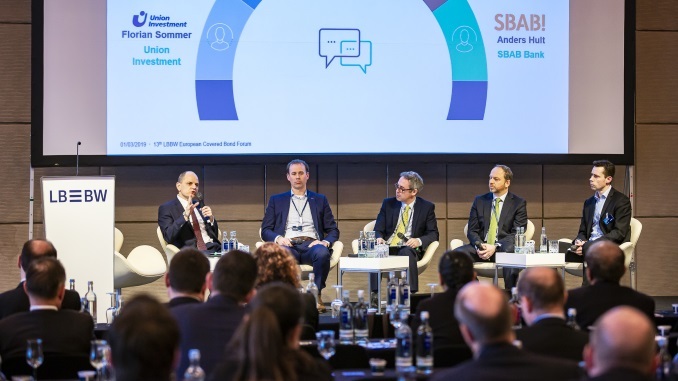 Sustainable finance plays an important role in Germany, too, but the focus has been more on the loan market and project finance, like the very successful energy efficiency or renewable energy finance programmes of the promotional banks. But also in the green bond market Germany is catching up. We are seeing more transactions. 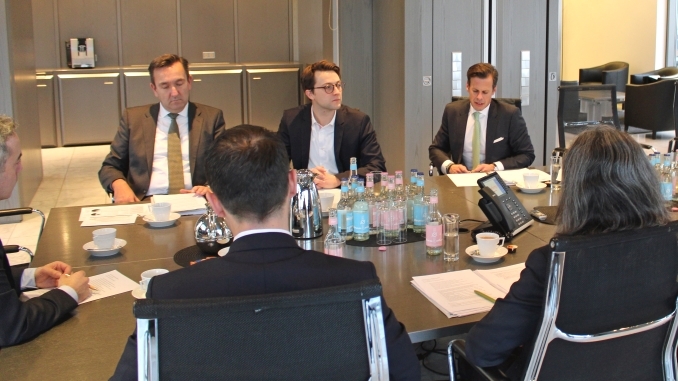 There are a lot of issuers on the bank and on the corporate side that are looking into the market and these developments, and this trend will continue and we will also see more issuance activity out of Germany going forward. Jürgen Klebe, Deutsche Hypo: I would see it from a slightly different angle, because it’s not just a question of switching the investor presentation to green and wearing a green tie – it’s a lot of work. In our case it took one and a half years to get ready to issue our inaugural green bond. It’s fairly complicated because you have strict criteria to comply with and you have to identify the eligible assets in your portfolio to issue a green Pfandbrief, in our case. And perhaps it’s a little bit easier for smaller issuers to go ahead than for bigger institutions who have more internal considerations they have to check everything against or more complex business models. So I wouldn’t simply characterise it as Germany being behind. If you want to do the right thing, you have to do it correctly, and that is why it is a more time-consuming than simply issuing a conventional Pfandbrief or senior — it’s a bit more difficult or let’s say labour-intensive being green. Day, Sustainabonds: What drove Deutsche Hypo to embark upon such a project? Klebe, Deutsche Hypo: There were a few drivers. Firstly, we want to be a modern bank and in that respect being part of the green story – and doing so correctly – was one driver. Then we saw the relevant market momentum – we’ve just heard the amounts being issued in green format and we thought it would be reasonable to be part of that market. And thirdly, our business of investing in commercial real estate (CRE) is ultimately about investing in modern buildings, and there is a certain serendipity about being able to combine this green investment on the one hand with green issuance on the other. Bringing the issuing and investing sides together means that we are green from the beginning to the end of the value chain. Day, Sustainabonds: What could be done to ease the identification of appropriate assets and lining everything up? Winkler, Berlin Hyp: First of all, you have to differentiate between different types of green assets. A windfarm, for instance, is green, no questions asked. So in such cases it might be easy to identify assets, even if you need additional technical data. When it comes to energy efficient buildings, it’s a little bit different: you cannot see from the outside whether a specific building makes a contribution to energy savings and limiting CO2 emissions — you cannot even that see from the inside — so you definitely need additional documents. Before we started issuing green bonds, sustainability or energy performance certificates (EPCs) were not something we typically asked our customers for. Now, it is part of the process, so for every new loan from Berlin Hyp one of the requirements is that they have an EPC, at least, and if they have a green building certification, they should give it to us as well — even if the building does not end up qualifying for the green finance portfolio. So you have to start by building up your own database and of course that is time-consuming. You also need to set up the appropriate systems and responsibilities, processes in the bank to be able to decide whether each and every asset qualifies or not. But once you’ve integrated that into your processes, in the end collecting the information can be automated quite nicely. Day, Sustainabonds: Is this a potential bottleneck, a challenge that is holding issuers up? Gerhold, Commerzbank: One of the challenges we are seeing is that when issuers are at a very early stage in the process, have just started to think about a potential green bond, many do not know where to start, especially when defining the criteria and how to select the assets that will be eligible for the proposed transaction. You have to define your internal process for the project selection and evaluation, and for that you need to benchmark the assets against certain energy standards, for example energy efficiency. It is important that further work is being done in this respect, work on standards and benchmarks that can be used by potential issuers to define the selection criteria for such assets and to facilitate the process. Day, Sustainabonds: I guess that when you are doing the SPOs you are not faced with uniform methodologies. Is that a challenge? How could this be eased? Farkas, oekom: It’s definitely challenging because the issuers come with different expectations. Some issuers are thinking about a transaction within possibly the next two months and haven’t even created a framework, which makes things pretty difficult. We also have to explain that beyond having a framework we also look at the issuer’s corporate sustainability rating — this is a provision that we need prior to providing a second party opinion among other minimum standards. Standards are always welcome for these frameworks, at least for the issuers to know what to expect, and what to provide in order to get an SPO as well. Hack, KfW: With regard to energy efficiency in green real estate, for example, some labels are not sufficiently transparent because they are sustainability labels. We like the idea of sustainability, but our green bond portfolio is focused on climate and environment-related aspects, so we need to know if the labelled green buildings financed by the green bonds are strong on green aspects like energy efficiency. Sometimes it is very difficult to find this out as you can compensate weaker energy efficiency levels with social factors and get a good label. So they are not transparent for our needs. We therefore do a thorough analysis of each green bond, sometimes ask the issuer for additional information, review the external SPO and then make up our mind whether we think this green bond is compliant with the minimum criteria for our green bond portfolio. That said, when an issuer has come to the market with a very good green bond framework, we have seen that idea spread. When best practice is demonstrated, you can see that it is being taken on in the market. Farkas, oekom: If I may just add, we see that with the impact indicators. You saw them for the first time about one and a half or two years ago, and then almost everybody just began integrating them into their frameworks and reporting on them. They have become more and more important, and also for some SRI investors having them is a minimum requirement. Winkler, Berlin Hyp: That is exactly what happens in a very young and dynamic market. At first there is no such thing as best practice, but then, as more issuers approach the market with different models and frameworks for how to do things, banks and other issuers who subsequently come to the market can see in advance what will be appreciated. It’s one of the very big benefits of the green bond market, its transparency. How you set up your framework, how you calculate CO2-savings — these are made very transparent by many issuers. And for ourselves, it is something of an honour to serve as a role model for others. At the same time, although we have already become an established issuer, we too can still learn from others and try to further develop our approach, and we will continually do so in the future because the market is still very dynamic and will possibly develop even further. Coming back to your previous question about how diverse everything is and whether standards are needed, I have two different feelings about that. On the one hand, standards of course introduce a bit more reliability, making it easier for issuers to have fixed guidelines and for investors to see whether they meet the standard or not. That’s all well and good. On the other hand, the basic idea of green bonds is in the end to finance something that has environmental benefits and there you should not hinder creativity. There are instruments and assets that are potentially still missing from the market, and if the market is too regulated at a very early stage good ideas are hindered. Therefore it’s always necessary to maintain a balance. A little bit more standardisation, yes, but not too high a degree of regulation at this early stage of the market, please. Day, Sustainabonds: Christina, it sounds as if getting the data you require in a standardised format from everyone in an easy way would be helpful. But at the same time, it sounds like you may have particular interests that are not shared by every investor, and are not something every issuer is seeking to offer. Do you think enforced standardisation would be a good thing? But — as Bodo Winkler suggested — if the standard is too strict you risk slowing down the market, as reputational risk is transformed into legal risk while at this juncture there is no compensation for that because there is not yet a measurable price differentiation for green bonds Moreover, when setting up a standard the challenge is to keep it simple, transparent and flexible, in order to keep it open to new technologies and innovation. The transition to a low carbon economy is under way and we don’t know yet which technologies will be the winning technologies in the end. So a standard needs to be open to inventions and innovative approaches. Klebe, Deutsche Hypo: If we consider the Green Bond Principles (GBP) — which I think we all accept as a general standard — you have to have reporting at the end, one year after having issued at the latest. And this reporting is only possible if you have clear criteria for assets to enter into your pool — in the case of commercial real estate, if we have those energy performance certificates. Once you set up criteria and energy consumption limits for every asset class, it’s then very easy to deduce from these the energy savings, so you can do your impact reporting with a quite plain vanilla calculation. If you define only very weak criteria, I have no idea how you can directly calculate energy savings. It starts to get a little more complicated if you accept sustainability certificates as entry criteria since they not only concentrate on energy efficiency but also on social aspects – and how do you deduce an energy saving factor based on that? So, the stricter you define your entry criteria, the easier the calculation at the end. Deutsche Hypo does not claim to be setting standards in this regard, but as we used almost the same criteria as Berlin Hyp we are at least part of a move to define clear criteria. Gerhold, Commerzbank: We have to acknowledge that there is no one-size-fits-all standard. It is not possible to define for everybody what is actually green or what is sustainable — project categories are too different from each other, so are issuers, and also regions with their special features. What is important is the transparency — as also underlined by the GBP, for example, as a commonly accepted market standard. Transparency and integrity. I nevertheless think that what might be possible is to define common minimum standards, for example under the label that is being discussed at the HLEG, laying out what can be expected from a green bond issued in the EU. And away from that it’s important that further work is being done on a common taxonomy, and benchmarking and harmonisation of reporting and impact reporting, to make sure that the market is efficient and that everybody is talking about the same things. Farkas, oekom: I fully agree — minimum requirements are definitely necessary in terms of transparency. Take renewable energy projects, for example: you have the construction phase, the controversy assessment to look at, and what has happened in the supply chain — these are things that need to be transparent and from my perspective to be a minimum requirement at least at this stage. Day, Sustainabonds: Jürgen, you explained some of your motivations for launching a green bond. How did it go? Klebe, Deutsche Hypo: We had in mind to issue a Pfandbrief, which is our prime product, and went ahead with that. We wanted to issue EUR500m and after a little over an hour we had more than 50 orders in the book and the deal was more than twice oversubscribed, so it went perfectly from our point of view. We did a roadshow — one week with two teams — and were asked lots of questions that were quite new for us — meaning beyond “normal” Pfandbrief topics — because these investors not only had the GBP in mind but also their own set of ideas behind the green concept, so we got more and more insights into their thinking. And then there is the issue of additionality, where things get a bit more ambitious. What are you doing beyond what others have done, or are you just following trends? Of course we are following a kind of trend — that’s undeniable — but on the other hand, we defined two or three more criteria than other issuers. I am sure others will take up these additional aspects and this will then develop into a new trend. Day, Sustainabonds: Can you expand a little on these new points? Klebe, Deutsche Hypo: One was the remoteness of public transport. That had not been a part of any previous reporting we’d seen, at least. We introduced this data into our systems and now do a pie chart regarding the proximity of public transport to the properties in our portfolio. The second is the idea of brownfield versus greenfield sites and we have another pie chart illustrating this soil-sealing factor. So we will insert that into our reporting, because we came to realise that investors want that, and from our point of view it is the beginning of a new set of criteria. We will of course check if other issuers are — how should we say? — copying this. At the end of the day it’s profiting from other people’s ideas, and taking them into your own set of reporting, and that is additionality from our point of view. 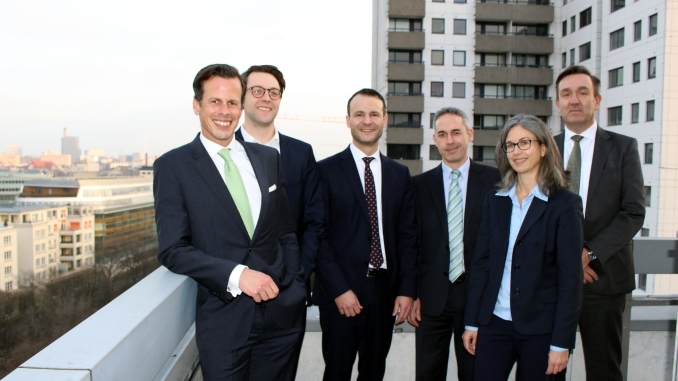 Winkler, Berlin Hyp: When we did our first roadshow in 2015, one or two investors asked for additionality, too. Well, being new to the green bond market, I had no understanding of additionality, I did not even know the word — if you translate it into German, it would be Additionalität, and it is not even a part of the German Duden, our basic language book. Additionality somehow describes the way in which green bond issuance has changed your institution. And I therefore think it is very unfair to ask a first-time issuer exactly this question. When you come back one year or three years later, you can say, well, there is now something additional in our bank. There were further questions that we were not even aware could be asked, so I had to say quite often, I’m sorry, I have to look this up, I have to do a little bit of additional work. But the good thing was, at least in 2015 when we did our first bond, the market was still so young that investors understood you could not answer everything — they were therefore in a way forgiving. And many of the investors were themselves still learning at that time, too — it was not only the issuers. Gerhold, Commerzbank: When we speak to issuers who have come to the market, this internal learning effect is one of the most interesting things and it is one of the key benefits highlighted by many issuers. When you set up your framework and the internal processes for the selection of projects and the reporting, different departments have to work together. It’s not just the treasury and funding department; it’s also the asset owners on the other side of the balance sheet, it is the strategy department, investor relations, etc — they now all have to work together and create a process, and this creates synergies. As a consequence, having gone through such a process, the issuers are typically thereafter in a much better situation to measure their own sustainability performance, and also to improve it going forward. And this progress is also reflected in the development of frameworks and reporting over time. Day, Sustainabonds: I’ve heard investors saying they are keen to encourage transformation within an institution and help people start on the journey towards being more green. Christina, do you take this approach or — given what you have said about your focus on energy efficiency or savings — are you simply trying to maximise climate-related benefits? 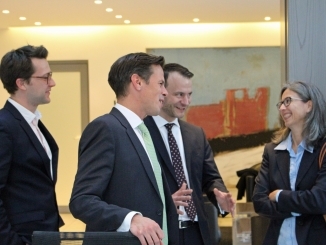 Hack, KfW: One of our objectives with the green bond portfolio is the qualitative and quantitative development of the green bond market, and also to engage in a dialogue with issuers, other investors and market participants on climate protection and sustainability. We want more people to think about activities in light of sustainability and the 2° goal and come to the market. For example, we have talked to issuers who were considering setting up a green bond framework, discussed different aspects and shared our views and experiences. We have also given feedback to issuers on roadshows for their green bonds on our expectations and requirements for green bonds. The main focus of our criteria is to ensure a sufficient level of transparency and regular reporting. This enables us to see that the issuer pursues sustainable objectives with its green bond and has established robust processes. At this market stage the impact of projects is not yet comparable. However, market participants continuously learn and improve. It is essential to have a continuous exchange to spur improvements. Winkler, Berlin Hyp: It would be very dangerous if investors were only to look at the CO2 savings, for instance, because that would lead issuers to choose benchmarks that are very weak, and that wouldn’t get us anywhere. Then there is the issue of the lack of comparability, between renewables and energy efficiency, for example. If you simply look at CO2 numbers, a windpark is of course always going to look better than commercial real estate, because it simply produces the higher numbers. But if you take a broader view, real estate worldwide is responsible for 36% of total CO2 emissions. I can only influence a little part of that huge market, but at the end of the day as a CRE lender I have quite a lot of leverage. So how do you take this into account if you just look at the CO2 emission savings produced by a single green bond? We had discussions on CO2 savings with different investors — we already had it also with KfW — and so far we have found that experienced investors do not only focus on the quantity of CO2-savings. They say, of course there should be impact, and you should be able to calculate it, but I’m not simply going for the highest impact that is shown to me. Hack, KfW: We monitor the green bonds closely after investment and we do read the reporting on impact and the allocation of proceeds thoroughly. At times we contact the issuer and ask for more information or for clarification. And in this respect we have also seen positive developments. Compared to the first reportings they are much better now in terms of detail and transparency. Yet, there is still a large diversity. The good reportings are very transparent with regard to methodology, assumptions and benchmark. We were pleased to note that some issuers considered our feedback in their follow-up reporting. Klebe, Deutsche Hypo: So basically we are working towards a world where there is no possibility of additionality… Will we achieve perfection? No, we will not. But by answering more and more questions, engaging with investors on the road, that will really help improve the situation and help us do green correctly. Day, Sustainabonds: Going back to additionality, oekom upgraded Berlin Hyp’s corporate rating and I believe the green bond issuance was a factor in that. To what extent could issuers expect to see some kind of recognition there? And how linked are the SPOs and corporate ratings? Farkas, oekom: First of all — as I mentioned earlier — having a corporate rating is a minimum requirement in order for us to provide an SPO. I have to tell you that at least half of the requests for an SPO have had to be rejected because issuers wouldn’t have met the requirements. They must have a corporate rating and also fulfil a minimum requirement with this: we have a 12 grade scale for corporate ratings, and they need to have a certain grade in order to then get an SPO. So we integrate the issuer rating, which is really important, into the SPO. 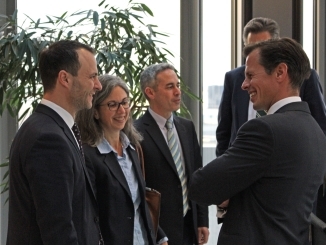 Indeed we upgraded Berlin Hyp’s corporate rating and reverified their green bond programme. Although refinancing doesn’t have such an additional impact for society one has to consider that Berlin Hyp has had several issuances despite their company size. Correspondingly they can be regarded a role model putting pressure on others to follow and to follow as consequently as they do. It’s a dynamic market and I’m sure there will be more improvements, with new indicators and better reporting. The current developments inevitably will raise expectations and with that minimum requirements of SRI investors. Additionality will sooner or later be among those minimum requirements. Gerhold, Commerzbank: This link between the sustainability of the bond to the sustainability of the issuer is also reflected in investors’ expectations, because when we are roadshowing issuers, it’s not just about the particular bond issue, it’s more about the overall context and the overall sustainability strategy and performance of the company. Investors expect transparency on the use of proceeds of the particular bond issue, but also transparency on the sustainability strategy of the issuer. And in such meetings, very often there are from the investor side representatives from the credit side, looking at the credit and relative value considerations, but also representatives from the sustainability side. Hack, KfW: We can support this observation for KfW. As an issuer our sustainability ratings have gained increasing interest from investors, and as an investor, we do look at the overall sustainability strategy of green bond issuers. This is also reflected in the Green Bond Principles. In the 2017 update a recommendation on more information on the issuer’s overall strategy, policy and processes relating to environmental sustainability was added. Furthermore, issuers are asked to be transparent about material environmental and social risks associated with the projects. So I consider this a global movement. Day, Sustainabonds: If you see different issuers and some of them are doing a better job than others, is there any way you can reward them for that? Perhaps by buying more? Is it a binary decision whether you invest or not? And is there some way people can be enticed with pricing mechanisms into doing more and trying harder? Hack, KfW: Well, one core aspect is the sustainability quality of the green bond. We analyse if our minimum criteria are met, which is a prerequisite for our investment, regardless of the bond’s pricing. KfW would be willing to pay a better price for a green bond if there are other investors who would invest at the same price since KfW cannot invest below the market price. We also have a mandate from the Ministry for the Environment for the KfW green bond portfolio with a focus on climate and environmental protection with a double objective. One is to contribute to the quantitative development of the green bond market. The other is to bring in minimum quality standards by our activity. So, we are not a typical asset manager. The thinking of a promotional bank is a bit different. Gerhold, Commerzbank: We did a survey among investors, with more than 100 replies from institutional accounts, and about 20% said they would accept pricing concessions for sustainable bond issues. There are many other investors who say, I like the sustainability aspect, but I would not accept a lower price or a tighter spread for that, but there is definitely a growing proportion of investors who are prepared to make such concessions. In addition, from an issuer’s perspective one of the key benefits is that there is additional investor diversification in a sustainable bond issue. Issuers who have been in the market for decades but are issuing their first green or social bond transaction are finding 20, 30, 40 investor names in the order book that they haven’t seen before. This can create additional momentum and may also translate into better terms at issuance, for example a lower new issue premium. Winkler, Berlin Hyp: I would say that to really get better pricing, you should earn that somehow — that is our approach. So far we have done four deals — two in the covered format, two in the senior unsecured format — and particularly when you look at the senior unsecured benchmarks, you see quite clearly that the green ones perform a little bit better in the secondary market. So if at a later point in time Berlin Hyp really has a full curve in green bonds that in the secondary market is tighter than the conventional one, then of course there would be a case. For now, I really have to say that our green bonds are bonds that are issued against the same credit as the conventional ones, the risk for the investor is exactly the same. 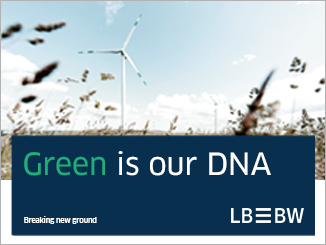 We were amazed that we still found new investor names when we did our fourth green bond. In total we are now at 96 new investors for a bank that is 150 years old. They had so much time to invest in our name but some of them were still hesitant and it needed the green bond to attract them. Another nice thing we discovered was feedback from some investors, especially from abroad, telling us afterwards: “To be honest, if you had not done a green bond, I would not have analysed your credit, because as a medium-sized German bank there are two things about you: you are too small, and you are too expensive. So why do all the work? But now that I have done it, and I’m very happy with the bond that I bought, of course I am open to your conventional issuance as well.” This is the best feedback that you can get. And as a bank that is 100% reliant on wholesale funding, gaining new investors or broadening your investor base is a value in itself for us — and I imagine it is the same for you, Jürgen. Klebe, Deutsche Hypo: Yes, it is pretty much the same for us. It is not always 100% clear whether an investor is green or non-green, but we were told by the banks involved that 36% of the buyers were considered to be green or we ourselves realised they were new to us, at least, and if that is the case, the story worked. In some of the thornier meetings on the roadshow we were asked — or insulted, you could say! 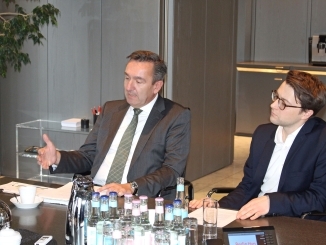 — “Are you just doing this to tighten Pfandbrief spreads even further?” I told them, no, and promised them that it would be at pretty much the same level as conventional Pfandbriefe, and we would then hope for the same secondary market tightening as in Berlin Hyp’s case, which would then be to the benefit of the investors — so a nice story for everyone. And if some day our green bond performance is better than the conventional bonds, only then would it be the time for different pricing in the primary market. But we are not there yet. In the meantime investor diversification is the basic and important advantage for us. Gerhold, Commerzbank: The current market is also not ideal for establishing pricing benefits, with very low interest rates and spreads not only low but also compressed. Hack, KfW: But, looking ahead, we see more and more studies on sustainability that show that there is better portfolio performance in the equity space as well as in the fixed income space, and that corporates that integrate sustainability into their strategy outperform their peers, so there is more and more the perception that it is a risk factor. So once the data is there and the analysis has evolved, this will help to develop the market. Day, Sustainabonds: With spreads so compressed, might issuers not potentially see more of a saving in senior than in covered bonds, which is also affected by the European Central Bank’s third covered bond purchase programme (CBPP3)? Gerhold, Commerzbank: First of all it depends on the funding requirements and situation of an issuer. Away from that, I think that in the sustainable bond market both are important because they appeal to investors at different levels: the covered bond is obviously more appealing for lower risk investors, while the senior bond offers more spread and therefore is more appealing to credit investors. And therefore to be flexible here it is always good for issuers when you establish a framework that offers the flexibility to issue both formats, senior as well as covered green bonds if you have a cover pool and are a covered bond issuer. And the framework should potentially allow for the issuance of public benchmarks as well as private placements. Klebe, Deutsche Hypo: In the end it’s a question of credit, of course. Selling a Pfandbrief is of course a different product than senior, but there is clearly a role for each. That’s why we opened our debt issuance programme to both versions. And, as I said, Pfandbriefe are usually your top seller and your prime product, so we decided to start with a Pfandbrief, but we will do it in senior format as well. It’s very clear that the green Pfandbrief is firstly part of the collateral pool which belongs to the mortgage Pfandbrief and is in line with the relevant regulations, and then aligned with green as well. So there is no question of blurring the lines — it’s really the best product you can get. And on the other hand, you have senior plus the green aspect. We have been very precise about that, that the products themselves are 100% separated, to avoid any confusion among investors. Day, Sustainabonds: There has been social covered bond issuance where the use of proceeds was not linked to the cover pool. Is that appropriate? Winkler, Berlin Hyp: I have a clear view on this. A covered bond is a covered bond because it’s covered. Issuers that don’t link their use of proceeds to the cover pool can still do a good green or social bond, but I wouldn’t call it a green or social covered bond. No covered bond issuer could have issued his first covered bond without having enough cover assets in his cover pool, and I honestly think the same should apply to a green covered bond – the assets have to be there before. It’s maybe a little bit harsh, but that’s my view. Hack, KfW: Our portfolio is a pure green bond portfolio and on the Pfandbriefe we have invested in, the cover pool was green as well. We are always open to innovation, but we would have to look at the details. We always analyse the specific set-up and the specific strategies. If I were to invest in social bonds, I would ask myself what the sustainability strategy behind that social bond is. Day, Sustainabonds: Are there opportunities in the private placement market for green bonds, something Mirko mentioned? Winkler, Berlin Hyp: Being able to issue such private placements is important, and we provide for that in our green bond programme, too. But ultimately the green assets we generate are somehow very valuable to us, and therefore we also want to make a statement with the green bonds we issue, and you get more attention with a benchmark deal. There are nevertheless investors around for whom the benchmark deals are not interesting, maturity-wise or whatever, but who would very much like to have a green bond of ours and would like to discuss what we might be able to do as a private placement. We are open to such discussions and I would rather think that in the future there will be the one or the other private placement from us, too. But for now the focus is clearly on benchmark deals. Klebe, Deutsche Hypo: From a visibility point of view, it’s quite obvious the benchmark is the key driver and we would link the green idea to that. But one day the ECB will step out of their buying programme and then there might be a revitalisation of the private placement market for Pfandbrief, too. And while in our case the Pfandbrief is very much a benchmark story overall, our senior unsecured issuance is basically driven by private placements. So our programme allows for both — according to investors’ needs. Day, Sustainabonds: What are your hopes and expectations for 2018? Gerhold, Commerzbank: I expect growth to continue. In 2017 we have seen more than EUR122bn, compared to EUR82bn equivalent in 2016, so I expect at least EUR150bn-EUR160bn in 2018. We are still seeing a lot of momentum — 50% of the transactions come from inaugural issuers. I also expect qualitative progress. The HLEG will finalise their report by January at the latest, and it will be interesting to see some of the recommendations to be implemented by the European Commission, which will provide additional support for the green bond market. Hack, KfW: We also expect the market to grow and new issuers to come to the market — investors, too. We think that there will be more investors seeking transparency, and this is also reflected in some of the initiatives we are seeing on environmental and climate-related reporting. And we expect that harmonisation and standardisation will progress. Winkler, Berlin Hyp: I’m curious about the outcome of HLEG and how politics ultimately deals with the outcome. At the moment there’s a big opportunity for the regulatory side to drive this market in a very positive way. Another aspect in that context of course for us as a mortgage lender is the EeMAP initiative of the EMF-ECBC — that is going into its first real hot phase in 2018 when they start their pilot. I hope this is successful and will bring more clarity around what is an energy efficient mortgage, and not only for Germany or for France, but for Europe — that will be important. I anticipate further dynamic growth in the market, too. Thus far there are absolutely no signs that this trend will stop any time soon, and that is very positive and makes me very optimistic. And of course we want to contribute to that. For us it’s very new being the largest in something — we can claim to be the largest European commercial bank green bond issuer — and now we have reached this position we have to do something to defend it, so there will probably again be green bond issuance from Berlin Hyp in 2018. Farkas, oekom: In terms of expectations, I fully agree: the sustainability bond market is going to grow. However, I expect social bonds to play a more crucial role, in particular if we think about the social challenges out there — education might be a pretty hot topic, for example, or migration, I imagine. And in terms of hopes, well, transparency, and more transparency — that’s what I would say. Klebe, Deutsche Hypo: Transparency is key and I also see that coming, and definitely more harmonisation as far as factors or comparability is concerned, too — European-wide at least. And once an issuer has done the work and invested the time in this green concept and entered the market, it is natural to want to become a permanent issuer. In our case there will be at least one Pfandbrief a year in green format and, hopefully, if not every year, every second year a senior piece in green format as our target.